By being ultra-careful at the time of manufacturing Sheet Metal Dies, our deft engineers are just lending a hand in taking the bars of quality to peerless heights. We are offering a wide range of Sheet Metal Dies to the global market. Our company is one of the notable Manufacturers, Exporters, and Suppliers of Sheet Metal Dies from Rajasthan, India. Our Sheet Metal Dies display an array of features including corrosion resistance, supreme finishing, perfection in dimensions, and longer life. 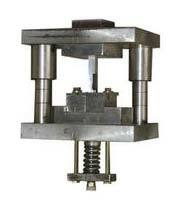 Besides, we give an option of customization of Metal Dies to our valued clients.